JASPER, Ga. – District Attorney Alison Sosebee offered her presentation to parents that she has been showing to students this week. 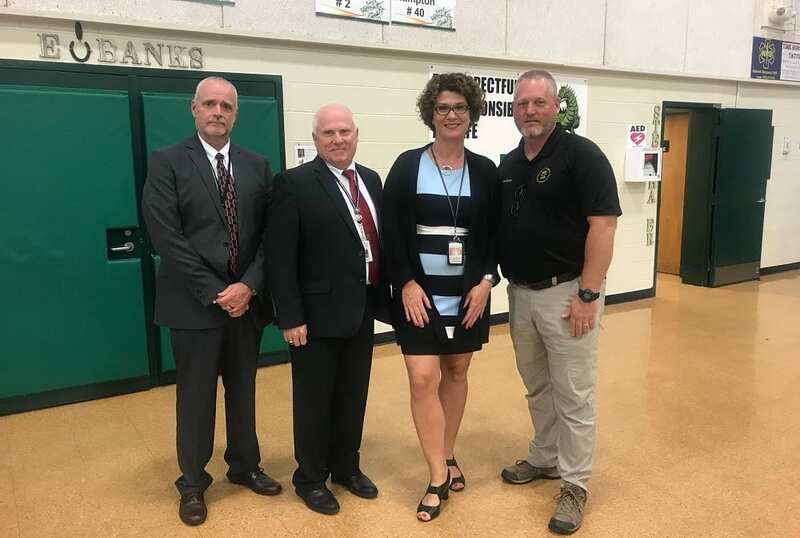 As a part of the chat with the superintendent program on September 24, Sosebee and Pickens Sheriff Donnie Craig joined in to inform parents about the vaping trend and the school’s responses. Going through the same presentation as the one she offers the students, the only alterations came when Sheriff Craig added the Drug Task Forces formal response and when Superintendent Dr. Carlton Wilson offered the school systems official reply. Following along the same lines of thought, students and parents should begin expecting full repercussions on possession, use, and sharing of vaping devices as drug paraphernalia when viable instead of being treated like possessing cigarettes. Sosebee also released information about those who came into contact with a substance that hospitalized five in a warrant on A1 Smoke Shop. The substance, identified as “Panaca,” a synthetic cannabinoid substance that is labeled as a “Schedule I Drug.” Sosebee compared this to Methamphetamine, a “Schedule II Drug.” She went on to note that this identifies synthetic marijuana, like that found in the smoke shop, is comparatively worse than Meth. 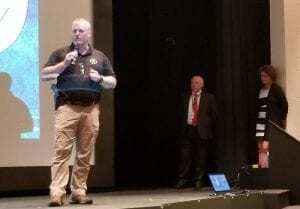 Wilson noted that the students have also been told that the consequences of vaping in school is increasing, and additional information from Sheriff Craig noted that criminal charges of this caliber could still involve 15 years in prison in the case of Schedule I Drugs. As seen in the video, much of the night was spent attempting to inform parents and citizens about the issue, it was noted that the school system is taking a hard stance against the trend. Continuing to point to the fact that some may or may not know what is in the vape devices they use, authorities point to the commonality of hard drugs found across the nation in these devices as reasoning to utilize the full consequences made available in both the school’s code of conduct and criminal law to dissuade students from using these devices.